I am having difficulty removing a duplicate H1 tag, which is located in my Site-Title-Wrapper, per source code. When I access "Edit Theme" and load the "site-title.php" I can see the wrapper code that appears in the source code, but it contains three variables, none of which contain H1 or are able to be found in the Editor Section. Where can I go to remove the H1/ update it to an H2/H3? Not the answer you're looking for? Browse other questions tagged php customization themes pages variables or ask your own question. What is the best way to manage small blocks of content on my home page? 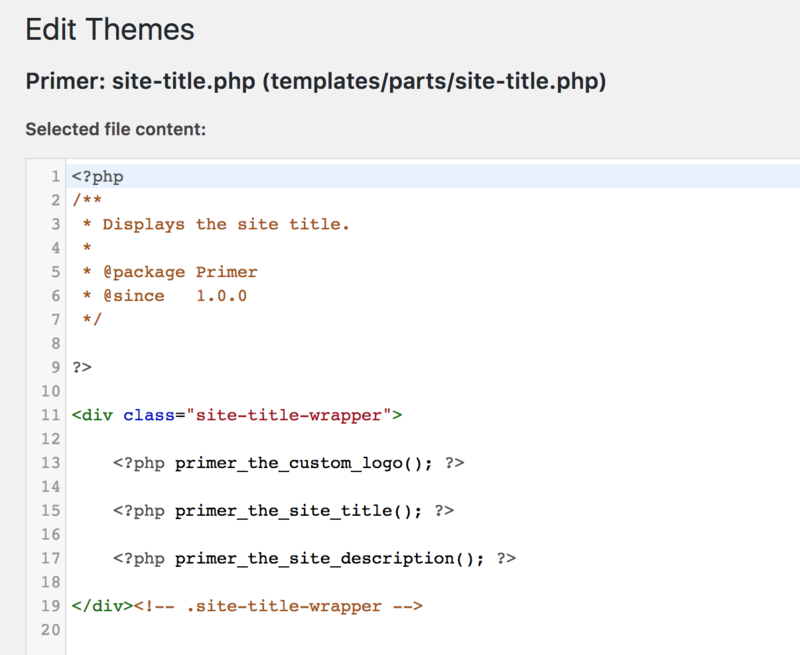 Whats the proper way to use a php stylesheet in a wordpress theme? WordPress filtering utm_ GET variables from url unless logged in as admin, not sure why?